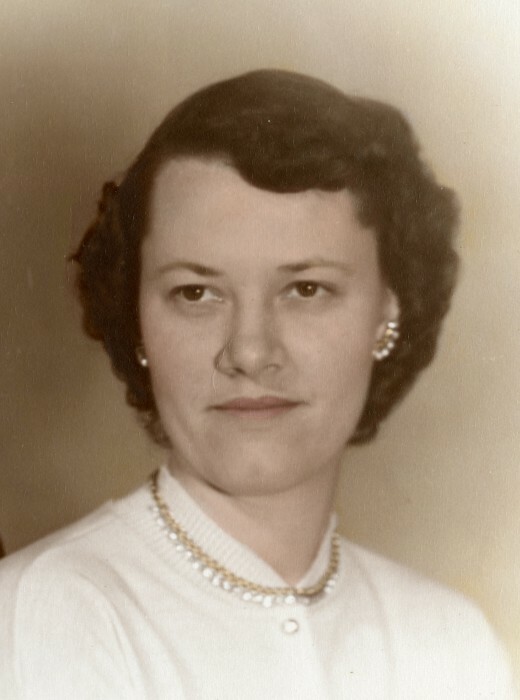 Marilyn Hope (Garrett) Rollins, 91, of Odon, Indiana, went to Heaven, surrounded by loved ones, on Friday, March 29, 2019 in Loogootee, Indiana. She was born in Martin County, Indiana on January 2, 1928 to Rolla V. and Hildred (Waggoner) Garrett. Marilyn became the wife of Woodrow Rollins on May 25, 1945. Marilyn was a member of the Odon First Christian Church. She liked to mushroom hunt and enjoyed being outside, reading, feeding the birds and she loved her flowers. Marilyn was a hairdresser, retiring in 1979. Family left behind to cherish her memory include: one brother, Vaughn (Sue) Garrett of Washington; two sisters, Norma Lee Crane of Loogootee and Evelyn Jo Holmes of Burns City; sister-in-law, Sharon Garrett of Loogootee; several nieces and nephews. Marilyn was preceded in death by: her parents; her husband, Woodrow Rollins; two brothers, Larry Garrett and Kenneth Garrett; brothers and sisters-in-laws, Ira and Zellie Taylor, Melvin and Nettie Hardwick, Kelsey and Velsie Sipes, Clyde and Lles Rollins, Glenn and Maude Rollins, Don Holmes and Byron Crane. Funeral services are scheduled for 12:00 PM on Monday, April 8, 2019 at Meng Family Funeral Home in Odon with Brother Richard Smith officiating. Marilyn will be laid to rest in Walnut Hill Cemetery. Family and friends may call from 10:00 AM until the time of service at 12:00 PM on Monday at the funeral home. Memorial contributions may be made to Helping Hearts Hospice in memory of Marilyn. Envelopes will be available at the funeral home.